Designing great mobile experiences can be a challenge, but there are many companies out there whose design process has resulted in apps that people love using. To give you some inspiration for creating your own loveable product I’ve created a list of truly beautiful mobile apps. In each case, the design team has done an amazing job finding out what their users need, and how to deliver it in the most efficient and effective way. Podcasts (like our own series of interviews) are great, but listening to them and discovering new ones isn’t always the most pleasant experience. 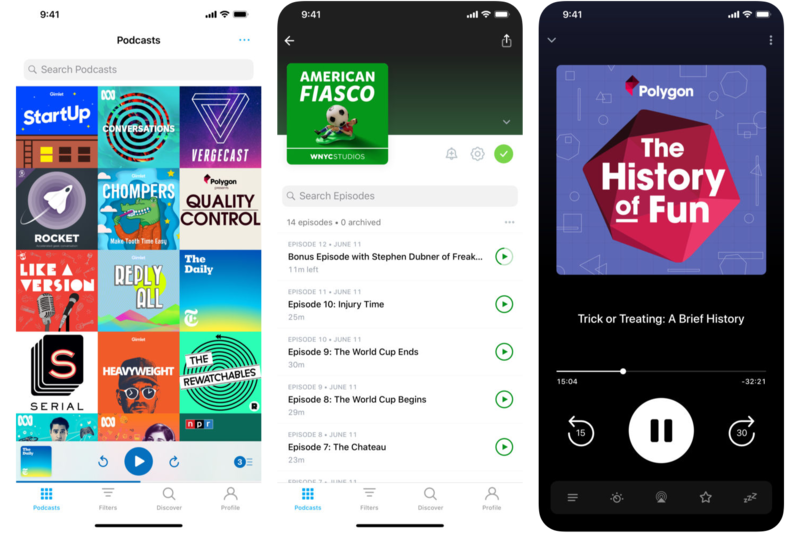 Sure, Apple’s own Podcast app got a great redesign with iOS 10, but when it comes to listening via the iTunes app on Mac or PC, the experience isn’t quite there yet. After trying many different podcast players, I found Pocket Casts to be the best one. Not only is it cross-platform (iOS, macOS, Android, Windows 10, and the web), but it also allows you to sync your listening progress across all of your devices without any hassle. The app recently got a big update. Version 7 now comes with a redesign and a few new features. If you love reading nonfiction books but the pile of titles on your to-read list keeps growing and the free time you have does not, Blinkist may be an awesome option for you. 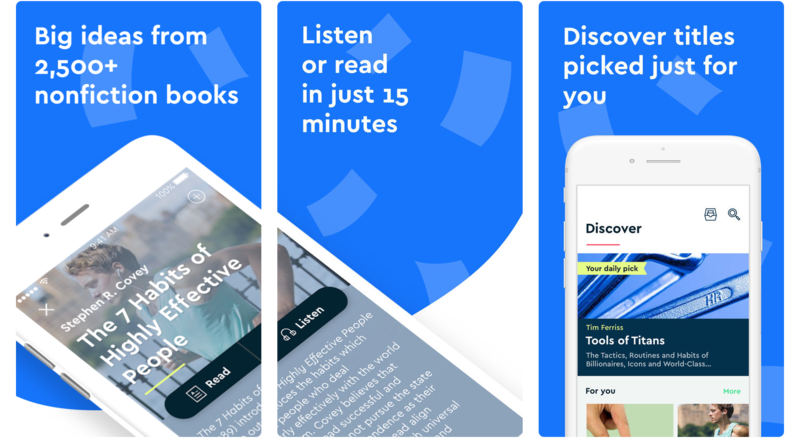 The app offers 15 min summaries of over 2500 books on a variety of topics, like self-growth, management, psychology, and more. We had a chance to meet the design team behind Blinkist, and they are truly passionate about the product. You can also check our guide to Berlin for designers, where Blinkist’s team lead, Temi, gives a great introduction to the city. If you’re like me and can’t imagine not having a calendar app always there for you, you are going to love this next app. 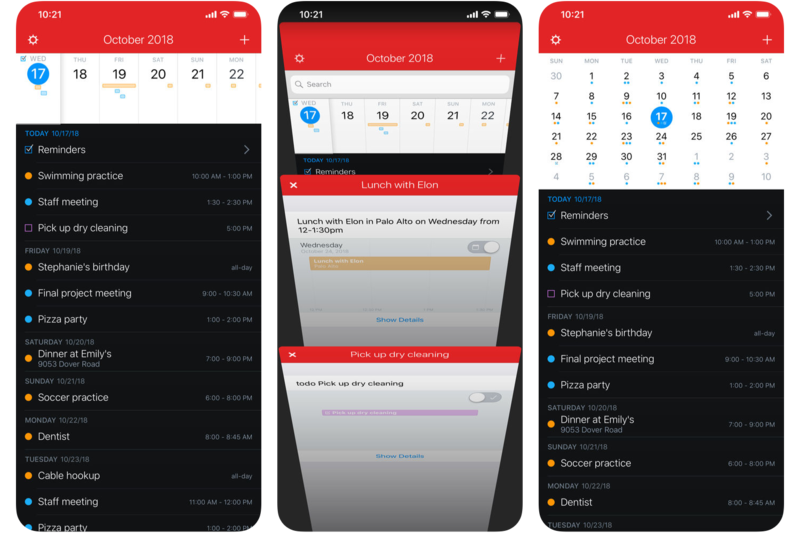 Fantastical 2, made by Flexibits, is one of the best calendar apps for Apple devices out there. In my opinion, it offers a much more intuitive UI than Apple’s own Calendar app. You can view your appointments as an agenda, peek into the week or a whole month, or rotate your phone to reveal a desktop-like schedule. A few years ago, Microsoft acquired a Berlin-based startup called 6 Wunderkinder, creators of the famous Wunderlist. 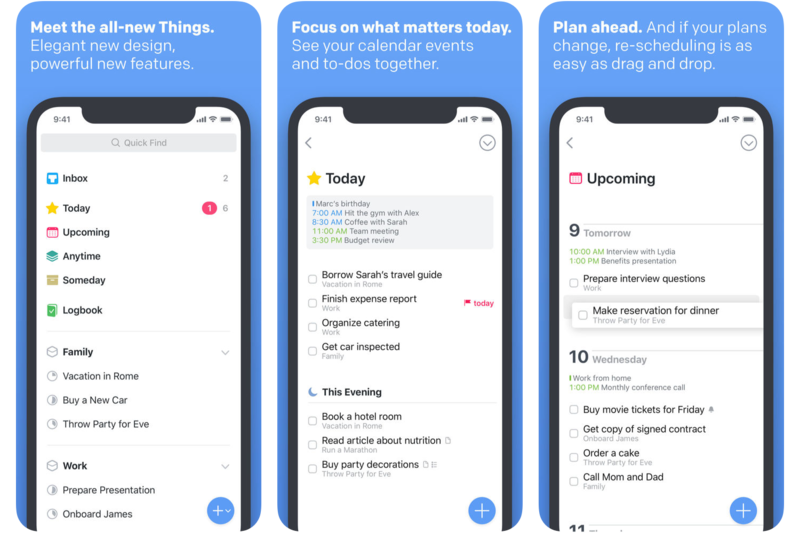 They did the same thing with this app that they did earlier with the calendar app Sunrise – incorporating it into their own ecosystem of apps and rebranding it as Microsoft To-Do. The app became a part of Office 365, but beyond that, it has stayed very similar to Wunderlist. They also added smart suggestions to help you better organize your day. This app is one of my favorites — I use it all the time. 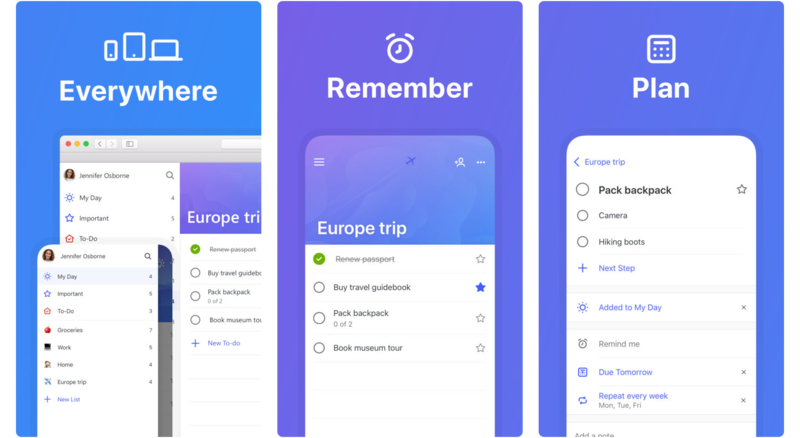 Things is another to-do app, but it’s made exclusively for iOS and macOS. The app features a gorgeous interface with huge attention to detail and interactions that make organizing tasks fun. Its designers approached the 3rd version with an out-of-the-box mindset, creating a very unique user experience that doesn’t follow the rest of the apps out there. 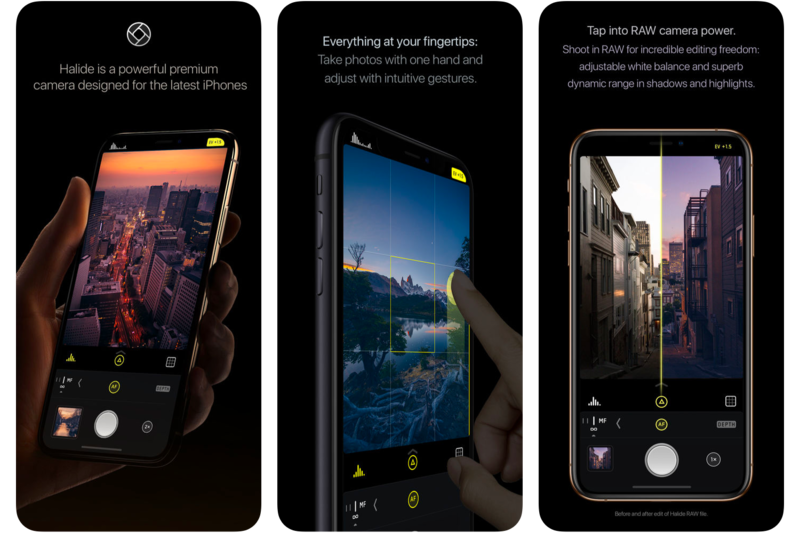 If you are into mobile photography, there are a bunch of apps that allow you to get even more out of your phone’s camera. Halide is one of the best. The app lets you shoot in RAW format, adjust white balance, change ISO, and set the focus manually. When the iPhone X came out, the app’s creators embraced the notch in the best way possible, showing the picture’s histogram on one side and exposure time on the other. If your job is writing, you probably know what a relief it is to use a minimalistic markdown text editor. 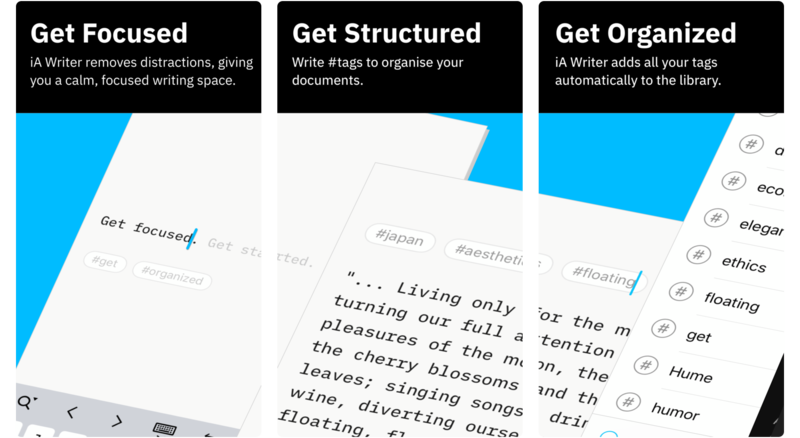 If you haven’t tried one yet, iA Writer is the first one I’d recommend. What’s unique about the app is how much attention iA put into the typography – you can choose between Mono, Duo, and Quattro, all created based on IBM Plex. Taking care of money when traveling can be really stressful – and pricey – if it’s done wrong. Lucky for us, we live in times when fin-tech companies like Revolut are working to solve these pains. 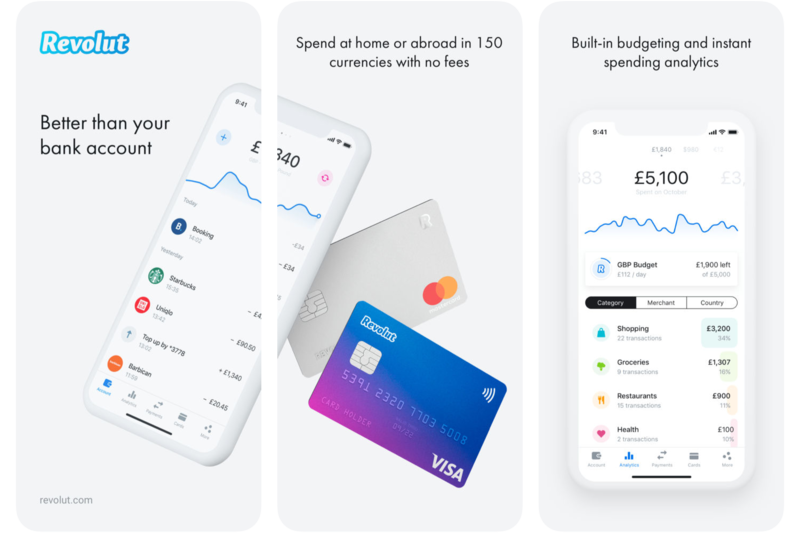 Revolut allows you to use multiple currencies using only one card, for free. The UI for managing these multiple accounts is really well organized and clear. Is it easy for you to get lost in a big city, that you have never been in before? The answer is probably yes. 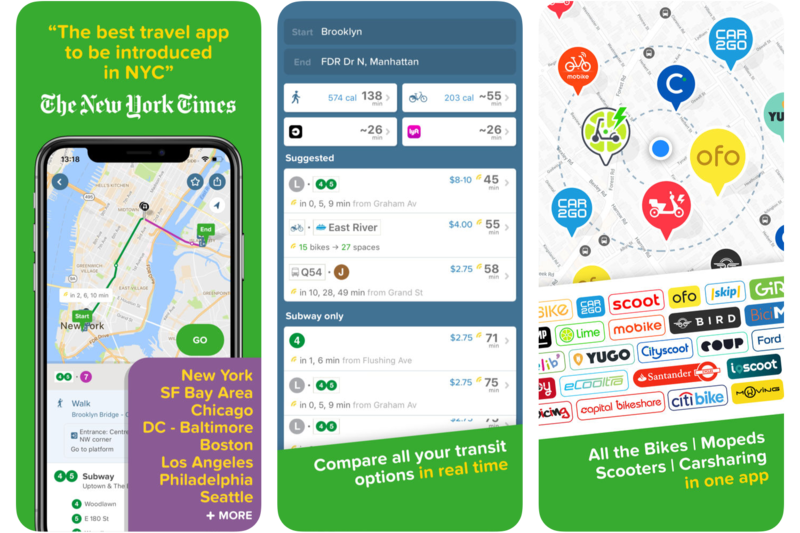 I think the best way to move around an unknown city is Citymapper – it shows you data on public transport, ride shares, and even car, bike, and scooter rentals. The design of the app is really playful and full of brand-focused illustrations, that guide you through the cities where the app operates. The last one on the list is Bumble, a dating/networking app, where women make the first move. The app lets its users communicate what they are looking for in a much clearer way than in other apps. 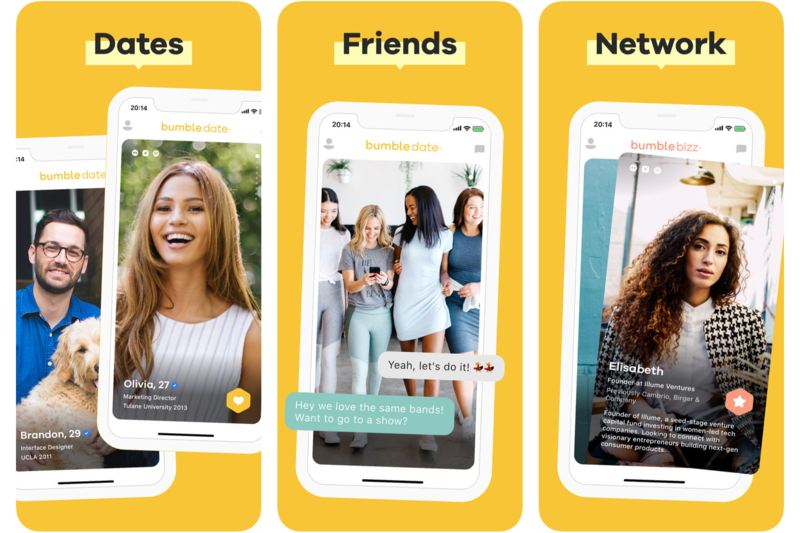 The addition of BFF and Bizz mode also makes Bumble a good place to meet new friends or find job opportunities. I hope that you found some inspiration in the apps above. If there is anything that you think is missing from the list, let me know on Twitter!